Pennsbury offers one of the oldest and largest Volunteer Programs in Bucks County with a long-standing tradition of community involvement. Over the past 80+ years, volunteers have worked to preserve Pennsbury and make it come alive for visitors of all ages. 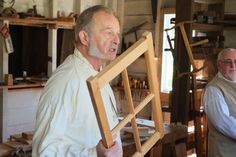 Volunteers are the backbone of Pennsbury Manor investing the time and talents required to make all our public programs and community events possible. As a volunteer, you will be asked to engage our visitors as interpreters, guides, help care for our animals, gardens or assist our operations team with some of the behind the scenes tasks required to run this organization. Share with us your strengths and scheduling limitations and we look forward to matching you with the best opportunities to serve as Pennsbury volunteers. William Penn selected Pennsbury as his peaceful summer retreat and we are confident you too will realize why our volunteers fall in love with his summer home. 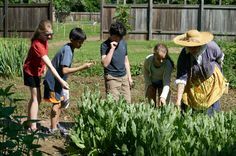 Click on one of the links below to learn about the exciting volunteer opportunities available at Pennsbury Manor. Our volunteers are like one big family, and we look forward to having you join us!